About a month and a half ago, I had a couple gift cards from Scheels burning a hole in my pocket. My wife needed some new softball spikes, so she headed off upstairs to check them out while I headed to the running shoes to try some stuff on. There had been a number of new minimal shoes come out just before this that I hadn't had a chance to see yet. Merrell had its Trail Glove series, and New Balance had the Minimus line, in both trail and road versions. Uncharacteristically, Scheels had one of each of these in my size, so I set about trying them on. Immediately upon trying the Merrell on, I knew it wasn't for me. Just felt wrong on my foot, and the toe box didn't work for my longer second toe. The New Balance Minimus Trail felt pretty good, but pretty much like a toe-finger-less (you know what I mean) FiveFinger - which I have a couple pairs of, and am happy with. 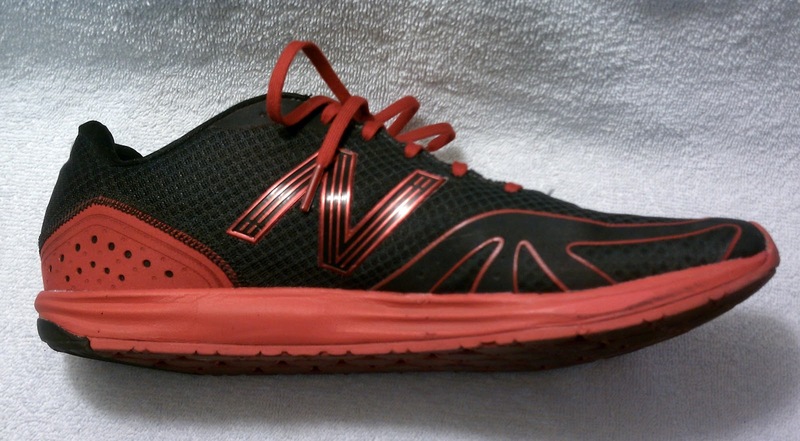 When I tried on the Minimus Road, though, I knew I had found a shoe I could fit into my road shoe rotation. Despite the weird rockered look of the shoe, it felt pretty natural on my foot. I walked around a bit, but really wondered what it felt like to run in. The sales guy let me on to the treadmill, and I did maybe a quarter mile, paying close attention to how my footfall felt. Everything seemed great, so I decided to take the shoes home. This is a nice, light shoe. 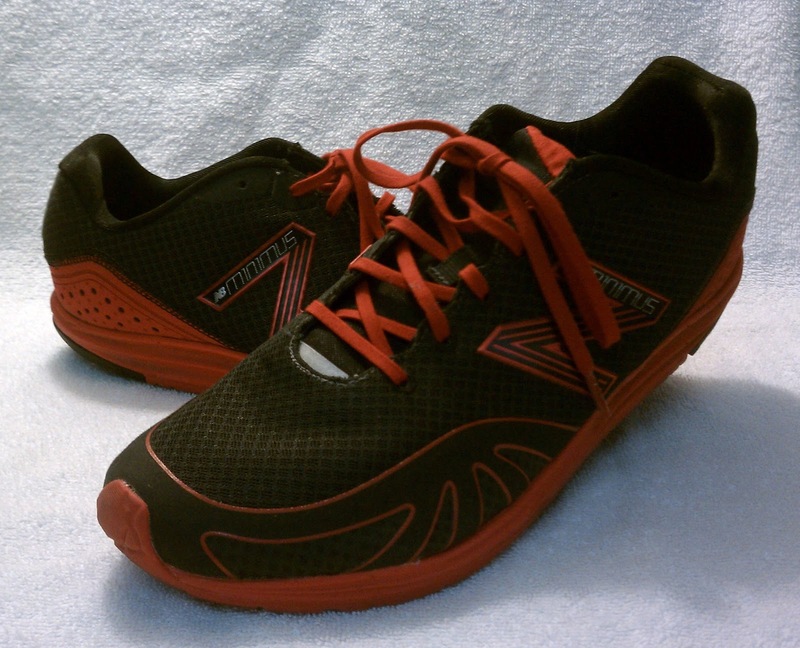 The upper is featherweight but not unsupportive - it does a great job of keeping your foot where it needs to be. The sole simply feels natural to me. Not a zero-drop shoe, but with 4mm drop from heel-to-toe, it feels pretty close. The tread pattern might not be great in wet weather, but we don't get much of that here. 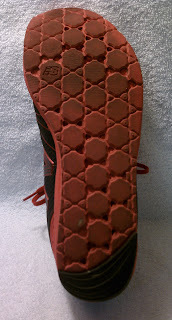 Everything else - arch support, heel cup, lacing system, breathability - seems just fine. As far as where this shoe fits in my line-up - it's a great light trainer. I don't think I'd throw it on for a serious race, although I was happy to rotate in in on the middle leg of a 3-leg relay. It feels good going fast, so I may wear it for intervals or track work sometime. The longest I've been on it so far is about 11 miles - I'm wary of taking it much farther than that, but I'm not sure why. It was just fine at that distance; don't see why it couldn't go further. So - really happy with this shoe. I don't have a rating system, but - 4.5 out of 5? Hope to be wearing this one for a while to come. I also found the fit on these shoes to be just right. I've been in Vibrams for a year, then diverted into Lunas (hurraches) and barefoot for a while. You learn something new with every run when going minimalist. I've gained a great running form and all the benefits that go with it. Now if I could get my mileage back, that would be great. The fact is I run mostly on roads and that is not going to change. 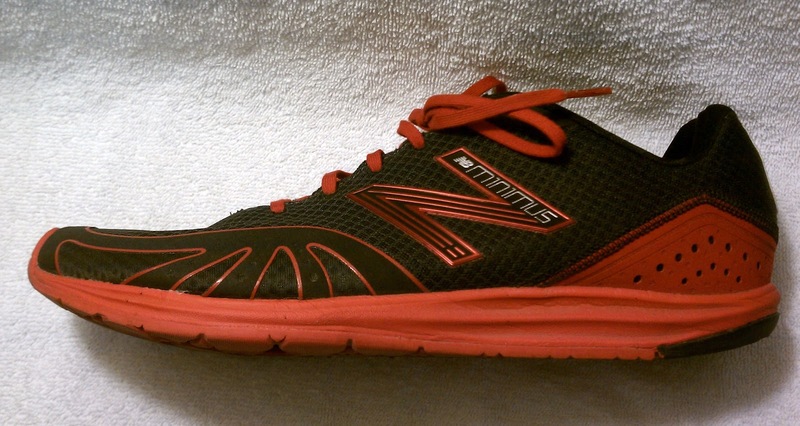 I'm hoping these shoes will bring back the long run while keeping the good form.